Onkyo adds AUPEO! 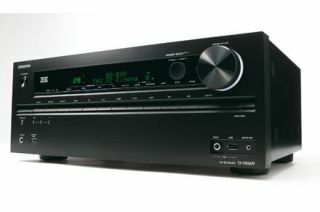 internet radio to its 2011 AV receivers | What Hi-Fi? Onkyo has added AUPEO! internet radio to its 2011 range of home cinema receivers with the release of its latest firmware upgrade. The AUPEO! service delivers a free online selection of 120 specialised music channels. Users can search for a specific artist on Artist Radio, or use the 'Mood Selector' to match the music style to their mood. Onkyo owners can tune in to the service for free, or subscribe to the ad-free version for €4.95 a month. Onkyo is also releasing a firmware upgrade that will enable owners of earlier Onkyo network receiver models (TX-NR509, TX-NR579, TX-NR609, TX-NR709, TX-NR809, TX-NR1009 and stereo network receiver TX-8050) to use the AUPEO! service. The upgrade will be available for selected models from August 8th, and later in 2011 for other mdoels.